Spectacular views, thrilling journeys, a sense of adventure, and lots of fun are associated with some of the best skywalks in the world. 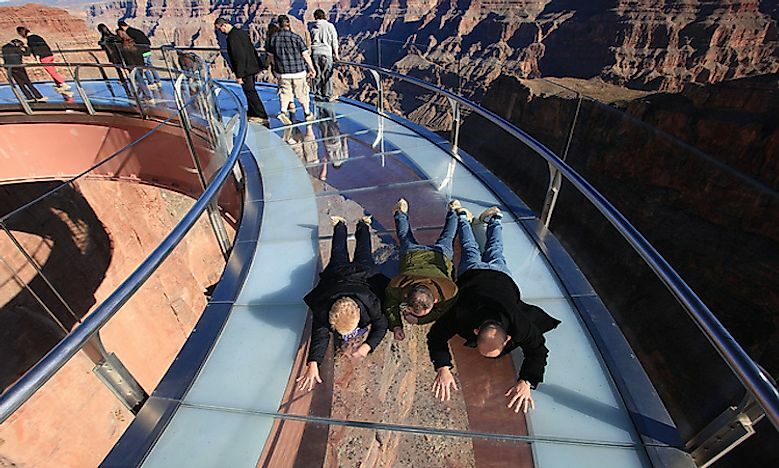 Visitors crawling along the skywalk at the Grand Canyon, one of the most thrilling skywalk experiences in the world. Another one of the man-made wonders of the world, the Langkawi Sky Bridge is a 125-meter pedestrian cable-stayed bridge on the main island of the Langkawi archipelago in Malaysia. The bridge, completed in 2005, is located 660 meters above sea level. 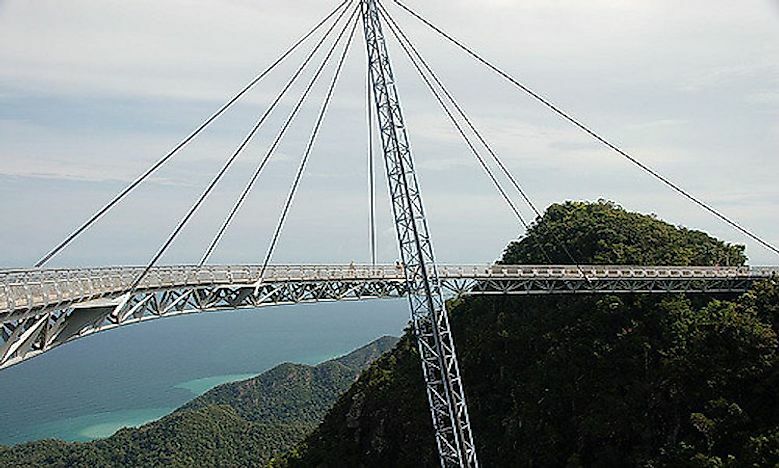 The Langkawi Cable Car transports tourists to the peak of the Gunung Mat Chinchang from where the SkyGlide, an inclined rift, carries visitors to the bridge. The "Step into the Void” skywalk is a tourist attraction in the French Alps that combines breathtaking views with extreme adventure. The skywalk was opened to the public on December 21, 2013. 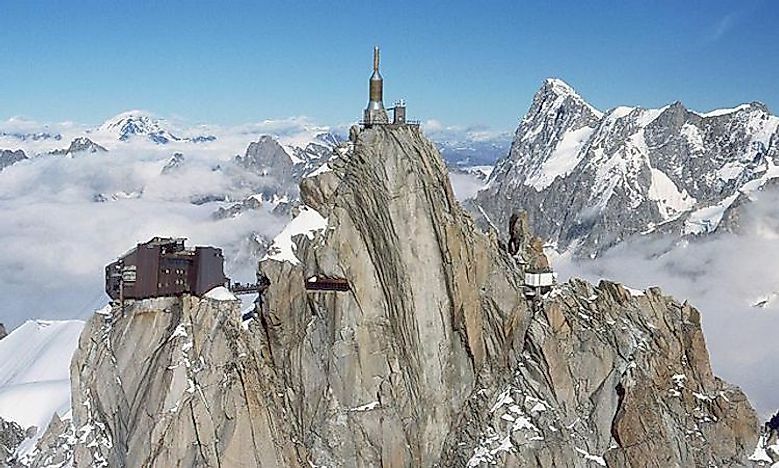 The skywalk is basically a glass room with a glass floor that is located off the uppermost terrace of the Aiguille du Midi. The glass room offers a unique experience to those standing on the glass floor with 1,000 meters of free air under their feet. The glass skywalk offers amazing views of the surrounding landscape, highest peaks, and the Bosons Glacier. Walking over the canopy in a rainforest is definitely one of the most exciting and unique activities for all nature lovers. The rainforest on Mount Tamborine in Queensland, Australia caters to this need of tourists quite well. The eco-adventure activity is based inside a magical privately owned 30-acre rainforest in the vicinity of the Cedar Creek rock-pools. The interesting skywalk departs from an Eco Gallery that displays flora and fauna of the regional ecosystem. 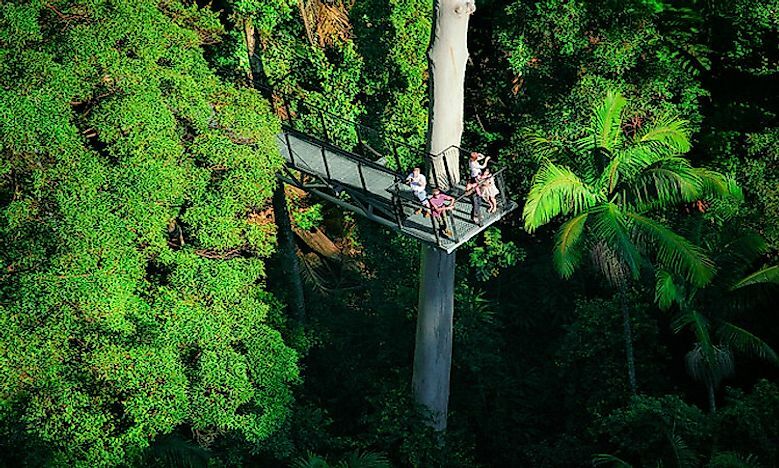 The 45- minute leisurely walk combines forest floor trails, a 40-meter cantilever bridge 30 meters above the rainforest, and 300 meters of high-tech steel bridges through the upper canopy of the Tamborine Rainforest. The Willis Tower is a 108-foot story skyscraper in Chicago, US that was built in 1973. It is the country's second tallest building. Over 1 million people each year visit the attraction. 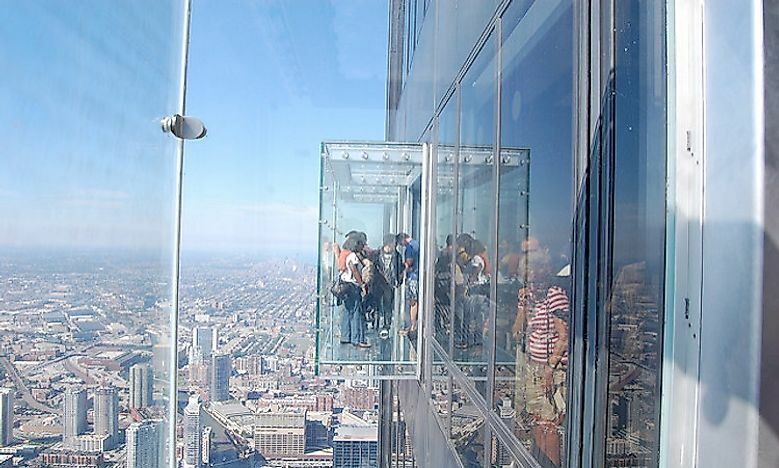 Located on the 103rd floor of the Willis Tower is an observation deck that offers tourists a wide, panoramic view of the plains of Illinois, Lake Michigan, and even the neighboring states of Michigan and Wisconsin. The observation deck has retractable glass balconies that can be extended 4 feet and allow visitors to look through the glass floor down below. A magnificent skywalk welcomes visitors to the Supertree Grove in the Gardens by the Bay in Singapore. Supertrees in the Grove are massive tree-like structures that range between 82 feet and 160 feet in height. The trees are vertical gardens that hosts a wide diversity of plants like exotic vines, ferns, and orchids. 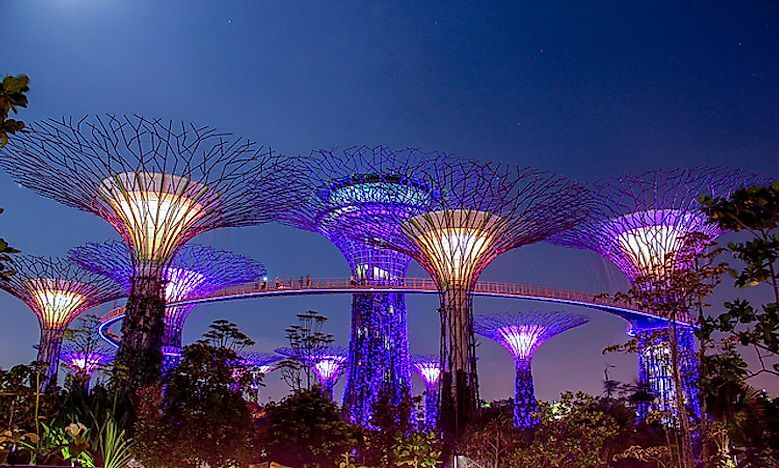 An elevated walkway connects two of the Supertrees in the Supertree Grove. A walk along this 128-meter ONBC Skyway offers a magnificent aerial view of the beautiful gardens below. Glass skywalks clinging to the high and rugged peaks of the Tianmen Mountains, the Tianmen Mountain skywalks are among the most thrilling walkways in the world. The Tianmen Mountain is located in the Tianmen Mountain National Park in China’s Hunan Province in Zhangjiajie. On November 2011, the first glass skywalk that is known as "the Walk of Faith,” opened on the 1,400 feet tall Tianmen Mountain. It is interesting to see tourists clinging to the peak wall out of fear while walking on the skywalk. Another skywalk was opened in April 2015. A new glass skywalk, the "Coiling Dragon Cliff,” was opened in August 2016 with a length of about 1.6 km and a height of 1,400 meters. The walkway ends in a hanging bridge between two peaks. 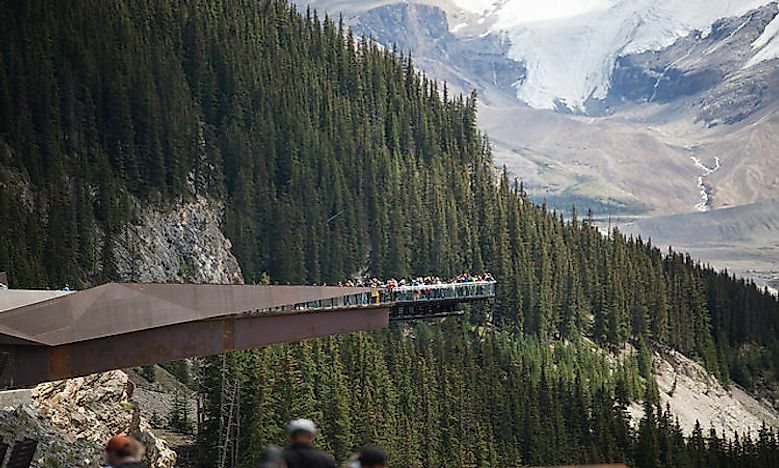 An exciting cliff-edge walkway, the Glacier Skywalk in the Jasper National Park of Alberta provides an unforgettable view of the surrounding spectacular alpine and glacial scenery. The walk is accompanied by the adrenaline rush offered by walking on a suspended glass platform that is the only thing that separates one from a sheer drop of 918 feet below. The 553.33 m-high CN Tower is the iconic structure of downtown Toronto in Canada that is also the 3rd tallest tower in the world. 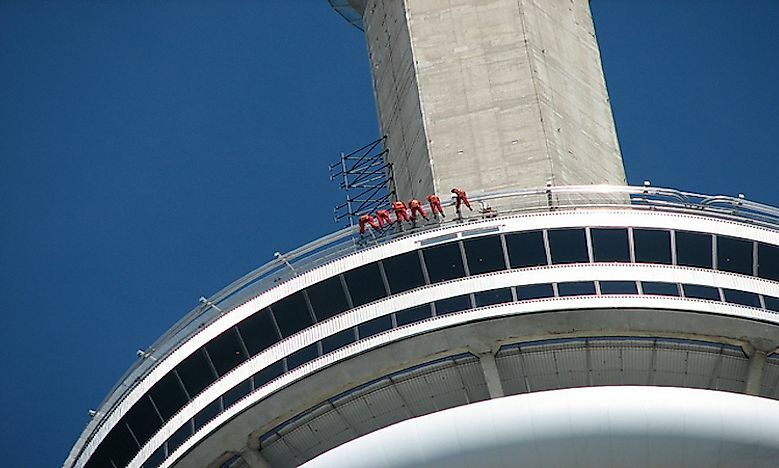 The CN Tower opened the EdgeWalk on August 1, 2011, a thrilling experience for the adventurists who get the opportunity to walk around the 356-meter high main pod of the tower. The Edgewalk is the world’s highest hands-free, full-circle walk at such a great height. The walk is closed during winter and bad weather conditions. A suspended bridge with a glass bottom 180 meters above the valley floor in China’s Shiniuzhai National Geological Park offers visitors the thrill of a lifetime. The Chinese name of the skywalk, Haohan Qiao, translates to Haohan Qiao, an apt name for the daring tourists who decide to tread on it. It was originally wooden and later 25 mm thick and 25 times stronger than normal glass panels were used to replace the wood. The bridge has been designed to withstand natural disasters like earthquakes, high winds, and frost. It can also tolerate 800 visitors standing on it at any given point of time. It is claimed that the skywalk also will stand firm if tourists jump on it. A skywalk like no other, the Grand Canyon Skywalk is a skywalk in Arizona, US, on the edge of a side canyon of the Grand Canyon. The skywalk offers surreal views of the landscape below. It consists of a horseshoe-shaped cantilever bridge that has a glass walkway. The height of the vertical drop from the skywalk is between 150 meters and 240 meters. 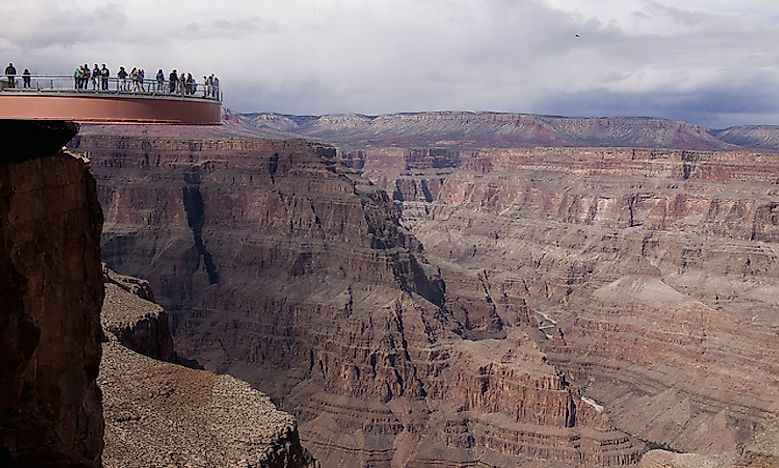 The Grand Canyon Skywalk was inaugurated on March 28, 2007, and is owned by the Hualapai Indian tribe.